Thanks to everyone who joined us at our inaugural ArtHouse event (April 30 and May 1, 2011). It was a fabulous weekend of art-making in the Print Center, art selling and buying at the Print Fair featuring works by 35 Bay Area printmakers, exhibitions, demos and talks by visiting and exhibiting artists, and lots more. We reconnected with old friends and made new ones and took lots of pics along the way. To enjoy the pics, simply click on the image above. Got 30 minutes? 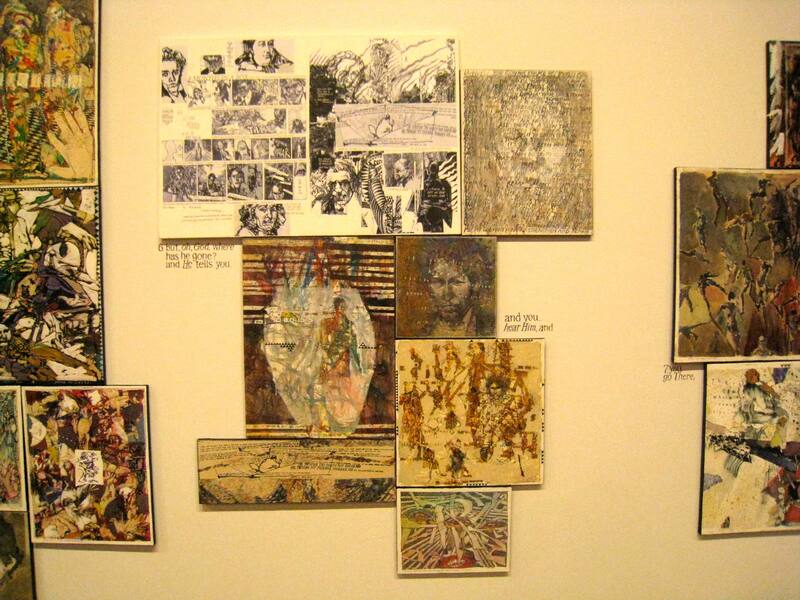 Take in three great art shows in downtown San Jose…yes, in 30 minutes or less. 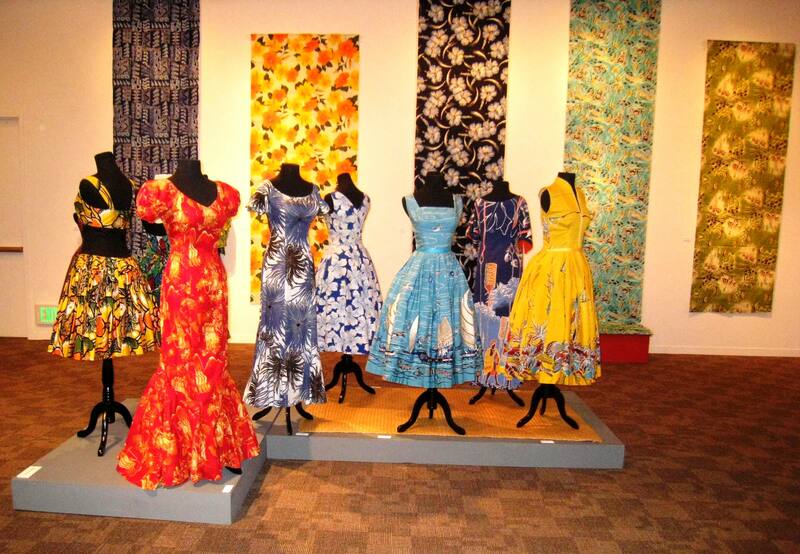 The San Jose Museum of Quilts and Textiles’ current exhibit is “Hawaii’s Alfred Shaheen: Master Innovator.” The show is well curated with impeccable examples of Shaheen’s approach to the fusion fashion design aesthetic he pioneered. I was interested to learn that his approach is now recognized worldwide as a visual market-not only of a transnational Hawaiian culture-but of a West Coast “American” lifestyle that is informal, environmentally aware and multi-cultural. Shaheen is considered the most important aloha wear designer and manufacturer in Hawaii’s history and his aloha shirts and women’s wear are the most respected and sought-after of all Hawaiian clothing. Two artists are currently exhibiting at Anno Domini: Dimitri Drjuhin and Barron Storey. True to Anno Domini’s love for alternative art, Drjuhin and Barron both look like they belong in Urban Outfitters with their hip, graphic, in-your-face creativity. 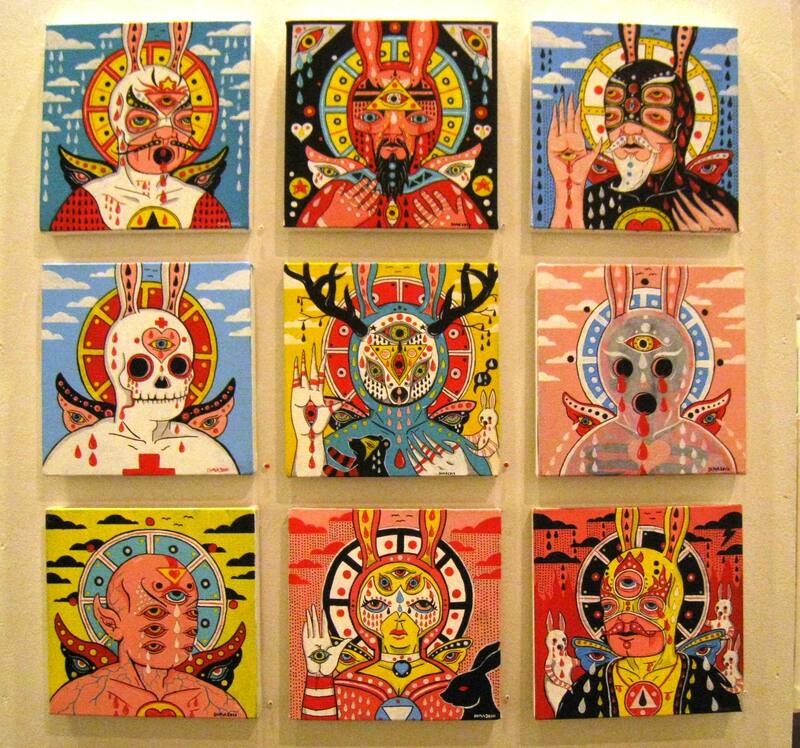 Drjuchin’s Cloud Empire is comprised of creatures, inspired by his Russian background, pop culture, comic books, spirituality and fine art. Barron Storey’s background as an illustrator and graphic novelist is apparent in his latest body of work, Re:Bob with his striking incorporation of text and graphic compositional treatment. Last but certainly not least, here at the ICA we have Modesto Covarrubias’ Liminal and Libby Black’s Work Out, two immersive and experiential installation-based solo exhibitions. While Covarrubias and Black both utilize paper as a primary material to make the installations, their strategies and resulting works are completely unique. 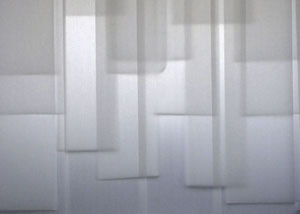 Covarrubias has created a site specific installation comprised of suspendered layers of tracing paper, which can make viewers aware of the subtle movement of life, the various tone of transparency or the quiet flutter of the paper. Black created high-fashion forgeries out of low-budget materials in an attempt to investigate the outward appearance of the “good life” and the social, cultural and economic symbolism of the objects she copies. 1. Prepare a will. Only 50% of those who pass away have one. Without a will, you may lose control over your belongings. 2. Leave a gift in your will for a charitable or nonprofit organization. Museums such as San Jose Museum of Art, San Jose Institute of Contemporary Art, SFMOMA and Fine Arts Museum of SF are good local candidates to name a few. 3. Leave a specific dollar amount or a percentage of the assets in your will to a nonprofit of your choice. If you care about and have supported an arts organization during your lifetime, a planned gift to the organization’s endowment will enable you to continue your support well into the future. 4. Consider using assets for your charitable gift. For example: stocks, bonds, CD’s, real estate, vehicles, art and jewelry. Such gifts may even provide tax savings. 5. Name a nonprofit of your choice as the beneficiary of your pension plan, IRA, or life insurance policy. 6. Purchase art from emerging and local artists! By avoiding decorative and antique art, a collection built on contemporary artists supports living artists and makes your home more interesting (at least in our opinion). 7. Actively participate and support arts organizations throughout your lifetime. 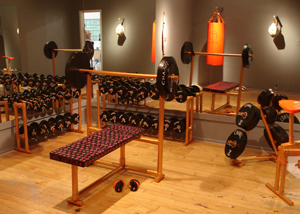 Starting memberships usually begin around $50 and allow you and a guest free admittance for a full year. Don’t forget memberships can also make great gifts! 8. Rent arts spaces, such as a theater, museum (gallery or auditorium) for meetings, company events and holiday gatherings. 9. Propose to your organization that they update their look and increase productivity, morale and creativity by hanging some quality art on the wall. 10. Encourage a love of the arts in your children, so they will continue to actively participate and support the arts throughout their lifetime. Internships Post-College: Do or Don’t? After graduating from Santa Clara University and moving to San Francisco to work in the art industry, I found myself moving home a year later to save money for graduate school. I knew my chances of finding relevant work experience were slim, given that I lived in the south bay and museums weren’t hiring, but fate decreed otherwise. A family friend suggested I apply for an internship at the San Jose Institute of Contemporary Art, which was unpaid but could be terrific for my resume. Having already had a full-time job, I was hesitant to accept a position that would be unpaid, but luckily my ego subsided and I started working a week after moving home. Field: In business related internships, it is common for internships to pay so be wary of those that don’t. If the company can’t compensate you, chances are the internship won’t be worth it. For arts/non-profit related fields, keep an open mind. Considering that competition for arts related jobs is fierce and money is almost always tight, gaining valuable work experience will offset the cost. Time Commitment: For unpaid internships, particularly while in school, try to keep your time commitment light. Burning yourself will benefit no one, so make sure to keep your hours realistic by limiting yourself to no more than 2 days a week. Referral: Think of internships as more than just resume builders, but also as a great opportunity to gain referrals and potentially even a paid position later down the road. Keep in mind job referrals are only made for outstanding performers so make sure to make a good impression and work hard. Network: Take advantage of introductions made while you are interning and any invitations to events, which can lead to meaningful connections later down the road and again possibly to future job opportunities. Furthermore, if you enjoy an internship experience, be sure to refer the opportunity to friends with similar career aspirations. It’s never too early to begin to build your network! For more information on interning at the SJICA please visit our opportunities page! This article was adapted from The Santa Clara newspaper, from the issue printed Thursday, April 8, 2010, by SCU ’08 graduate Anna C. Hygelund. Great post! I also took an unpaid internship after having a full time paid position and it was totally worth it! 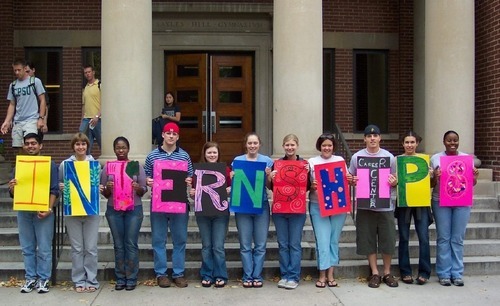 First off, the internships picture is great. With regards to unpaid internships, we run a program in China for unpaid internships, (unfortunately law in China forbids paid internships) but a majority of the placements that we find turn out to be great learning experiences for the students. One word of advice i can give is that no matter paid or unpaid, the key is that you have to put in a lot to get any real benefits. Time to Talk. Then, time to Act.